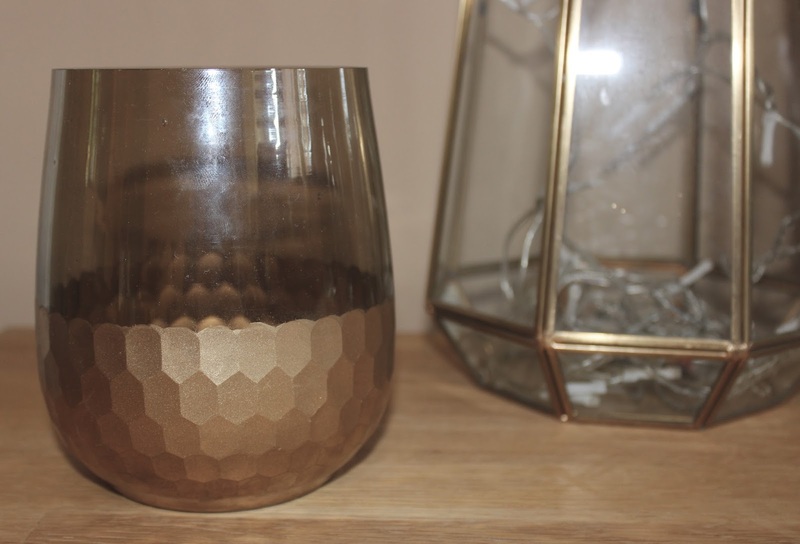 Home updates - a bit like fashion, the trends are constantly changing and sometimes you can't resist purchasing a few new additions. I've been saying for months how our lounge needs a bit of a 'facelift'. Living with parents.. clearly it's not my house or mortgage and therefore I do not have authority to make the decisions, which is totally understandable given that I probably have very different taste. I did manage to do some convincing however and introduce a colour scheme ready for when the room gets the go ahead, so I thought I would show you some of the purchases..
We decided on gold for the accent colour combined with neutral accessories so that when the more important factors are introduced, it's easier to pull the whole idea together (just like fashion!). We're thinking tropical and botanical vibes for the overall look. 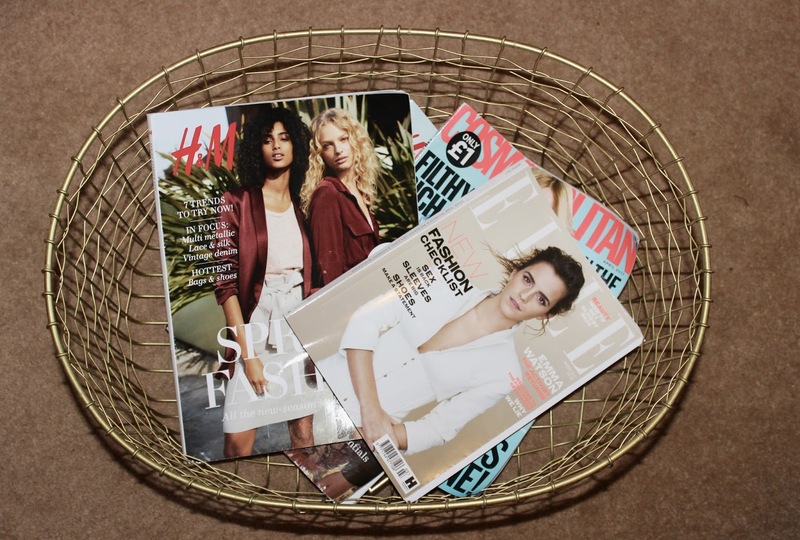 A magazine holder is essential, there's always plenty of them in the house, so what better than a nice looking gold basket to keep things neat and tidy. 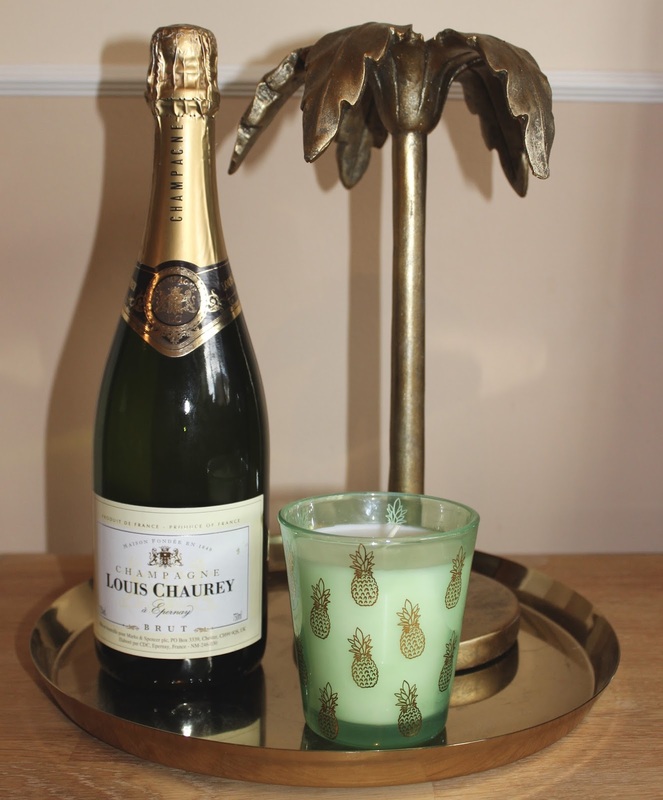 The palm tree candle holder was the perfect addition to add a bit of fun to the decor. We found some fab tropical print curtains so they will make the ideal combination, as well as injecting a bit of colour to brighten the room. 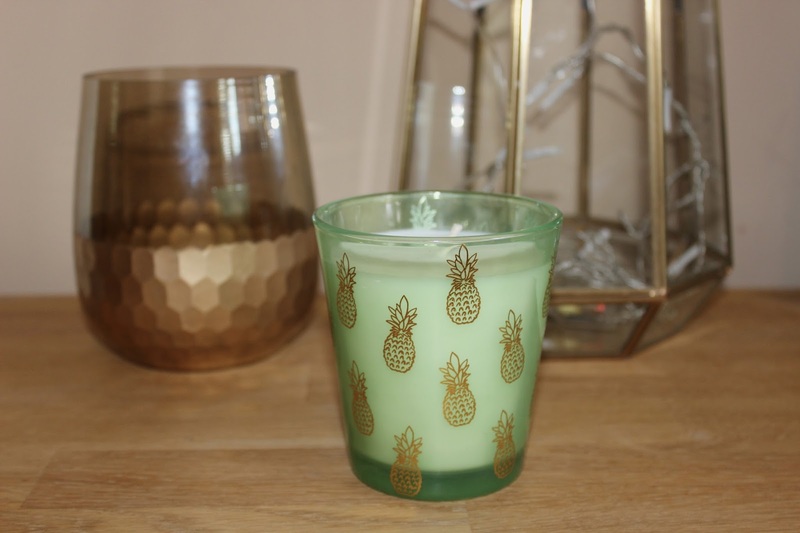 Again with the candle, quite on trend, but we have a selection of green in the house and it was in fact mums choice - I think I may be the cause of her loving a pineapple print or two. The rose gold vase was a sale bargain at £3, winner! 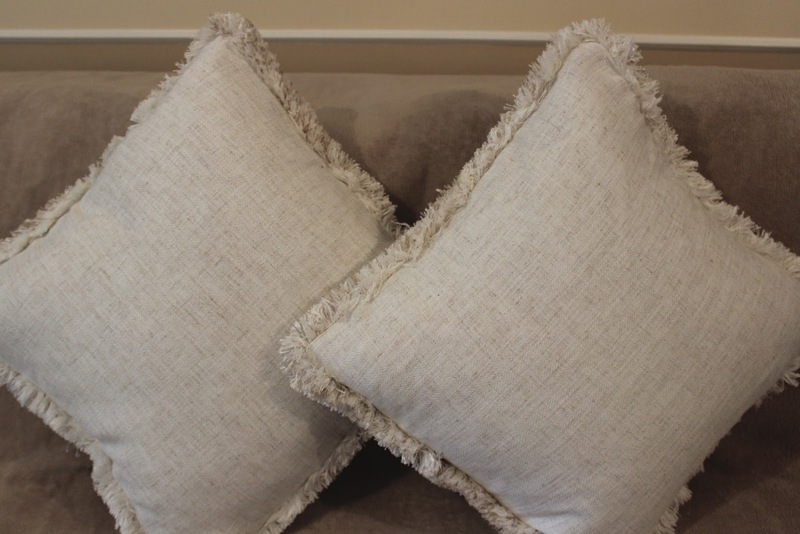 Cushions probably the most important aspect of a sofa.. if they aren't comfy, they don't make the cut. This pair most certainly do, you just sink into them. We were lucky finding so many accessories that pieced together with the idea in mind. One of the best things about Homesense - you'll always find unique, one off products that don't cost a fortune!